I don't read many books in the middle grade category because a. I am far past that time in my life and b. the writing often tends to lean to the juvenile side of the spectrum (as it obviously is intended). However, sometimes a book just grabs you and when that hook sinks in, you best bet that book is going to be read. One of the things I rather enjoyed about The Fog Diver was that the author blended multiple genres rather seamlessly. This story has a little of everything, Fantasy, Steampunk,Action, Romance, Thriller, Post Apocalyptic etc. You name it, the Author has it in the book somewhere in some form. I also really liked the concept. A fog filled with nano machines that have taken over the world is completely different than really any stories I've read. Sure, I've read lots with nano technology run amok but never one that distinguished between the human and environmental threat as this one days. So many plot holes! Don't get me wrong the world building isn't bad but it's also really not that good either. Without ruining the story (too much) let me explain. Chess, the main character was born in the fog, in fact he feels at home in it. Yet, for whatever reason he decides that he needs to live on a broken down airship with a group of his friends, forever hiding his fog filled eye and avoiding capture by the evil lord kodoc. This wouldn't be bad if they really had a reason for doing so but saving some mysterious mother like figure just isn't good enough. Literally, all of the things he needs to do could be done safely on the ground. Sure, it would be a lonely existence but he could also make the lives of his friends so much better by not being a selfish little you know what. Another glaring hole is that the Author stresses at least half a dozen times right from the get go how valuable he is and yet... he struggles day in and out picking up scrap from a tether so that he can find the means necessary to find sanctuary in Port Oro. He could walk up to the gate wearing nothing but his birthday suit, lift his hair and be like "Bro, I can save humanity with your help." The people would rejoice, his friends and himself would be safe and Lord Kodoc wouldn't be a problem any longer because now Port Oro has all the power. Or better yet he could just go down in the damn fog, find the machine, save humanity himself and reinstate democracy. Do you see why this would be frustrating? By the point in the story I actually really cared about what was happening it was mostly too little, too late and that's a shame because I really had high hopes for this one. Overall, while I liked the writing and the concept, this is one of the few middle grade stories that I think is better left to those young enough to appreciate it in its entirety. If I was a pre-teen looking for my generations Robinson Crusoe than I would probably have enjoyed this story a whole lot more but being an adult I just could not stop overthinking things and picking apart all the errors and plot holes that I found along the way. 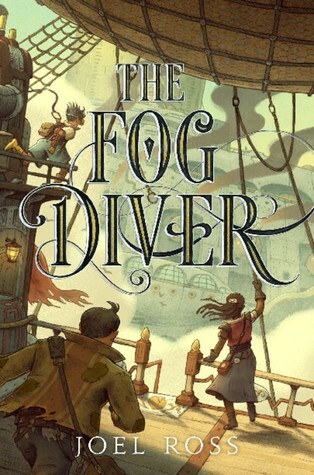 With that being said, I'll be rating The Fog Diver by Joel N. Ross ★★★. 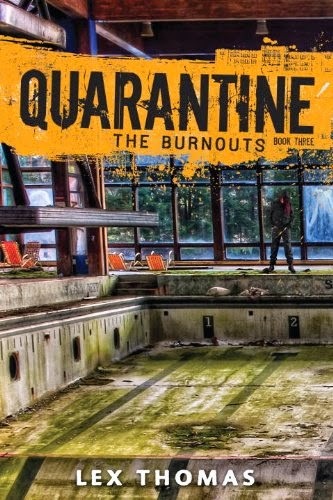 Want to learn more about this book or Author(s)? Click the links below! Joel Ross is the author of two World War II thrillers for adults (Double Cross Blind and White Flag Down). This is his tween debut. He lives in Santa Barbara, California, with his wife, Lee Naftali, who is also a full-time writer, and his son, Ben, who is a full-time kid.